Andrew's practice is focused on representing clients in all aspects of probate, estate planning and related civil litigation. His services extend to adoptions, guardianships, administration of trusts and decedent’s estates, will contests, involuntary commitments, and federal and Ohio estate taxation. As a former General Referee (Magistrate) of the Franklin County Probate Court for Hon. 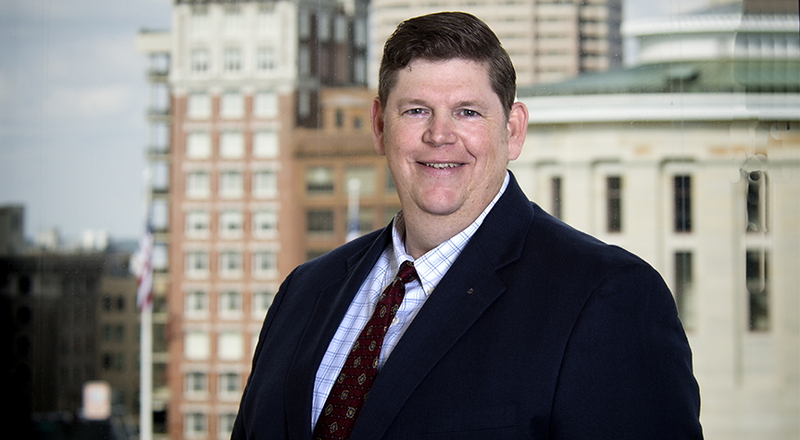 Richard B. Metcalf, Andrew gained experience handling all types of cases subject to the general jurisdiction of the Ohio Probate Code. Presently, Andrew acts as a Special Magistrate for the Hon. Robert G. Montgomery with exclusive jurisdiction to hear civil commitment proceedings, and has served in such capacity under the Hon. Lawrence A. Belskis, Hon. Thomas E. Louden, Hon. Eric Brown, Hon. Alan S. Acker and Hon. Robert G. Montgomery. Regularly involved in problem solving for family disputes/litigation involving elder clients, their assets and family. Handles estates and estate tax returns for modest up to multi-million dollar estates. Closely involved with guardianship cases all over the state of Ohio both as Guardian and representing guardians and related litigation. Presenter for various probate law lectures on general estate plan issues, advance directives and health care issues, etc.